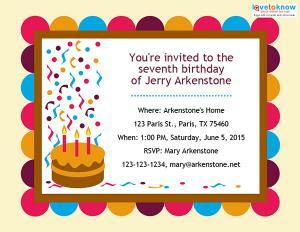 Save yourself time and money when you're planning a birthday party by choosing free invitations. Whether you pick out a printable one to mail or send a quick online invitation, there are plenty of great designs and sentiments to choose from. To print the folded cards, simply follow the instructions on the card. 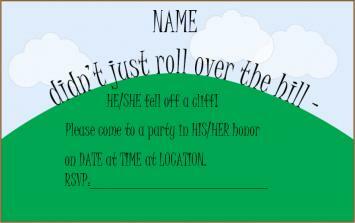 Postcard-style invites will print with two invitations per 8.5 x 11 page. Use cardstock for best results. 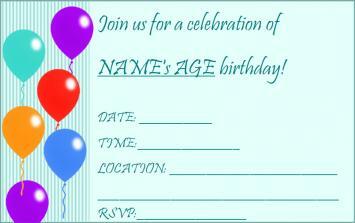 The invitation you choose for your child's birthday party should be one that matches his or her theme. The rocket ship invitation above would fit a space, rocket, or even a vehicle themed birthday party, while the monkey invitation is perfect for a zoo, safari, or jungle themed party. If you're looking for a 1st birthday party invitation, consider one made especially for that occasion, rather than one meant for older children. Teens tend to shy away from balloons, streamers, and other birthday decorations. The cool-looking silhouettes on the dance party invitation are perfect for hitting a teen club or for a dance party in someone's basement. 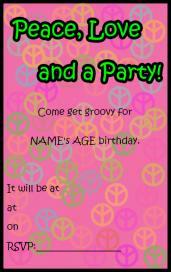 The groovy peace invitation is a good one if teens like to dress up or have a flair for the 70s. Skip the special 40th or 50th birthday party invitation and use an over the hill invitation for the adult who's turning a milestone age. If the celebrant is sensitive about his age, use a more general invitation to avoid offending him. Punchbowl: Punchbowl has plenty of birthday invitations to choose amongst, in categories like adult, kid, milestone, and surprise. Sign up for a free membership, select the free invitation you desire, and edit for your party details. You can import email addresses from several different web email hosts, making it easy to send the invites. The invitations even come with an online envelope. Be sure the invitation you select has the "free" sticker on it, as some are only for paid members. MyInvites: Pick out a special invitation from MyInvites. Here, you can search for invitations by birthday for him, birthday for her, children's birthday for him or her, and by birthday age. You can send up to 100 free invitations per day through MyInvites, and guests have the option to add comments as a response. Smilebox: With a quick and free download, you can create customized invitations perfect for any birthday party using Smilebox. 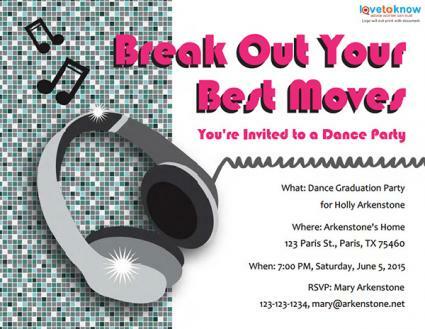 Add your own photos and videos to make a memorable invitation that is sure to get everyone to your bash - and there are over 100 free templates to choose from. DesiEvite: DesiEvite has a range of milestone birthday party invitations, starting with the first birthday up through 100. 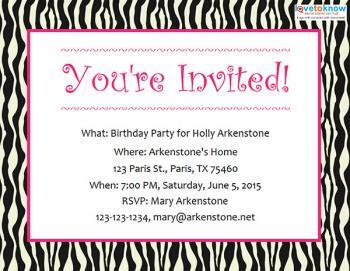 Additionally, you can create your own invitation online for a mom, dad, brother, sister, pet, and more using their many subcategories of birthday e-invitations. Add a photo or video, your event details, and send out to all the expected guests. 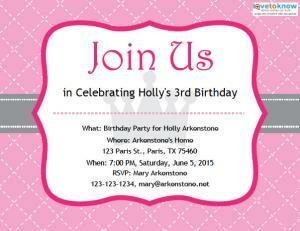 It doesn't matter whether you choose a printable invitation or send an online invitation. Either way, you will get the word out about the upcoming celebration easily and quickly, at no cost to yourself. Spend the extra money and time you save on invitations to make the birthday boy or girl's party extra special with more decorations or a bigger cake!